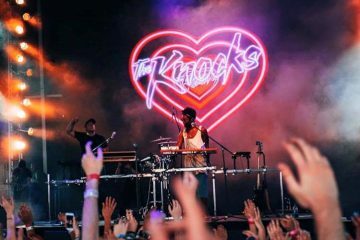 New York city duo The Knocks (comprised of Ben “B-Roc” Ruttner and James “JPatt” Patterson) are about to hit The Novo for an insanely fun time. Joined by Young & Sick and Blu DeTiger, the Dance Music act are continuing to spread the good word of their newest album New York Narcotic, an album with their Billboard Dance #1 hit with Foster The People, Ride or Die. 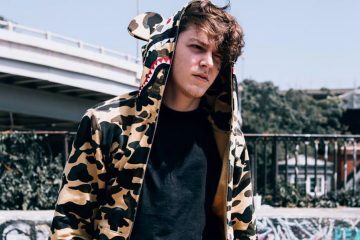 They also shortlisted Method Man, Big Boi, Sir Sly, Alexis Krauss from Sleigh Bells and Sofi Tukker for collars on their album, which will make for a diverse and energizing set. Earlier in the year, The Knocks’ collaborated with Sofi Tukker on the song “Best Friend”, which reached #1 on the iTunes Dance, US Dance Radio, Billboard Commercial, Billboard Dance/Mix Show and the Shazam Dance Charts. It also hit #3 on the Shazam Worldwide Main Charts, debuted during Apple’s Keynote address, and went on to become the soundtrack to prominent iPhone X advertisements. (WATCH). B-Roc and JPatt also appeared on The Tonight Show w/ Jimmy Fallon and TRL alongside Sofi Tukker and NERVO to perform the track. The show is still on sale for as low as 14 bucks before taxes. Grab them now before they’re gone!